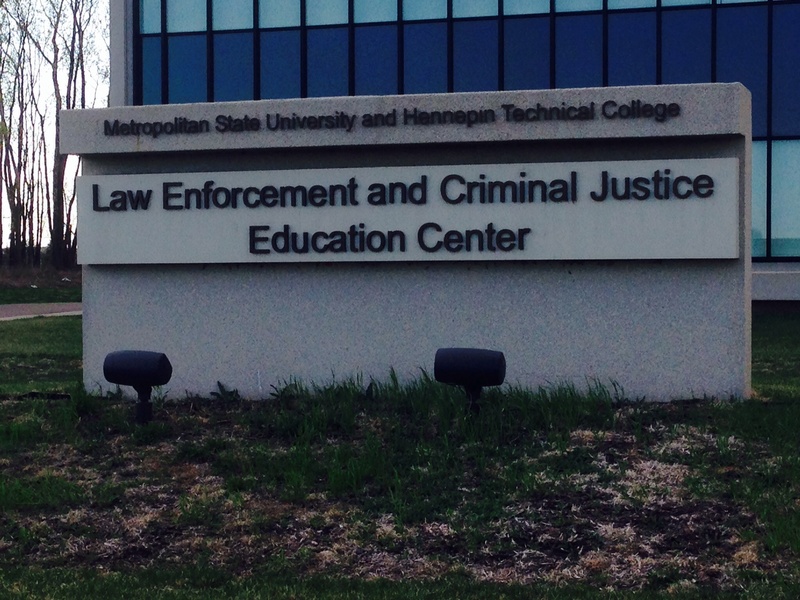 Last week’s class was held at the Law Enforcement Education Center on the campus of Hennepin Technical College in Brooklyn Park. We’re in for another jam-packed evening, meeting with members of the Hennepin County Sheriff’s Office Community Engagement Team (CET) and representatives of the Professional Standards Division which includes Personnel and Range Instructors. The highlight of the evening is the time we spend with the HCSO’s Range Instructors. At the firing range, we’re given shooting vests, ear muffs, and protective eyewear. I fuss over the eyewear because my fading eyesight is a product of old age: I’m farsighted but can’t see anything up close. To wear glasses or not to wear glasses, that is the question. I decide not to wear glasses. When it’s my turn to shoot the handgun, a standard-issue Smith & Wesson M&P.40, the hunky instructor tells me to aim for the grey rectangle in the center of the person-shaped target. 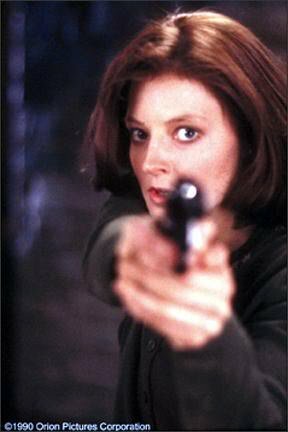 Holding the gun (which is surprisingly heavy), my hands shake like FBI agent Clarice Starling’s as she follows serial killer, Jame Gumb, into that basement of horrors in The Silence of the Lambs. Between my carpal tunnel, not lining up the target with the handgun sight properly, and frankly just not knowing what the $&@! I’m doing, I land one shot out of five in the grey rectangle. One bullet hits the target’s head, another hits the cardboard outside the target’s body, and a third bullet hits the target’s groin area. Ouch. While my dreams of being drafted as an elite sniper are dashed, it turns out fellow Twin Cities’ Sister in Crime member, Theresa Weir is something of a natural: all five of her shots hit within the grey rectangle. Her sharp shooting skills lead to some friendly teasing on Facebook. “I’ll remember not to piss you off,” one person jokes. My aim is a little better with the rifle because it has a scope. All of my shots hit the target’s stomach. “You all hit there,” the instructor says, taking the wind out of my sails. Interesting fact #1: While the military tests first-to-market guns and rifles, the HCSO tests first-to-market bullets from Alliant Techsystems in Anoka. After the firing range, we head over to a video simulation lab. These video simulations are used to train new recruits and offer a variety of potentially lethal scenarios: a domestic violence call, an unusual traffic stop, and a hold up-in-progress at a convenience store. My scenario involves the convenience store, where my partner and I point our simulation guns at the robber who faces the cash register. We shout things at him like, “Sir, move now! Move now! Put your hands up! Hands up! Look at me! Look at me! Look at me! Why won’t you look at me?” Before we can yell out anything else, the robber turns around and shoots us both dead. 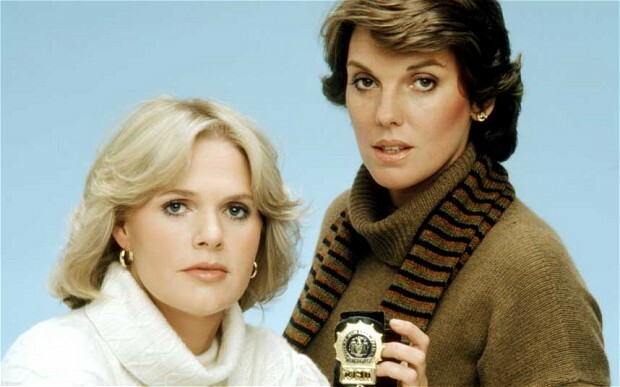 Cagney and Lacey, we are not. It’s a scary predicament, being a cop in a potentially life-threatening situation. Some experts believe more training, especially in tactics to defuse high-stress situations, could help both officers and suspects. 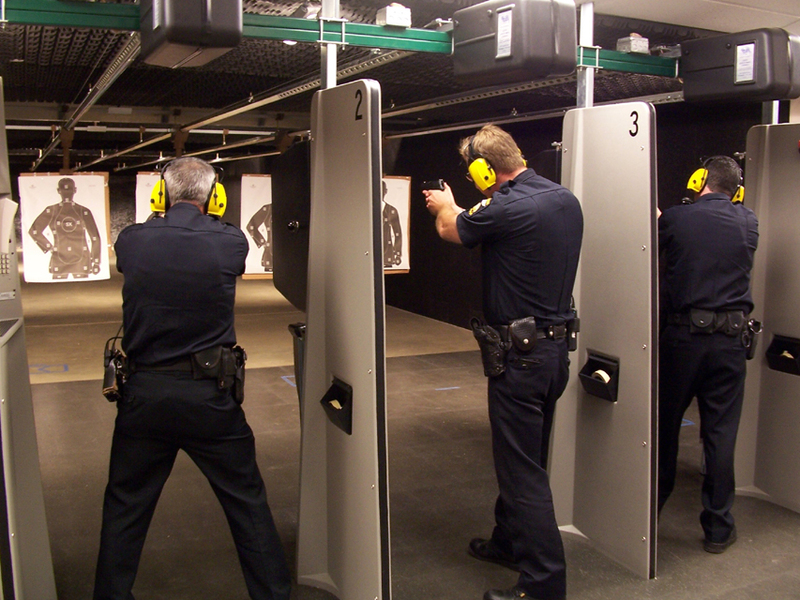 A recent study conducted by the Police Executive Research Forum concluded that the majority of training hours were spent on firearms and defensive tactics rather than on de-escalation and crisis intervention. We’ve heard several people say, “You don’t read about HCSO officers in the papers,” and it’s true, you don’t. 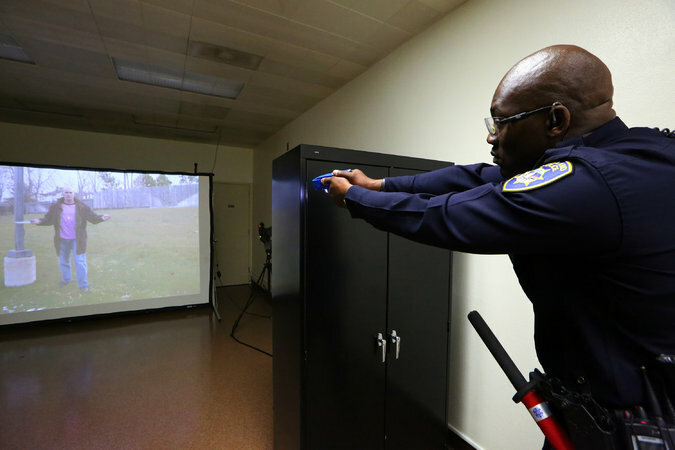 On average, HCSO employees receive twice as many training hours as other police departments. Does the additional training make a difference? It certainly can’t hurt. The training instructors also teach the new recruits how to read the Cooper color code of the tactical (or combat) mindset. As one instructor explains, understanding your mindset during a tactical situation can be more important than your firearm or Taser skills. Your mindset can literally make the difference between life and death. White: Living in oblivion. Not a good place to be if something’s going down. Yellow: Slightly observant. Okay, but not ideal. 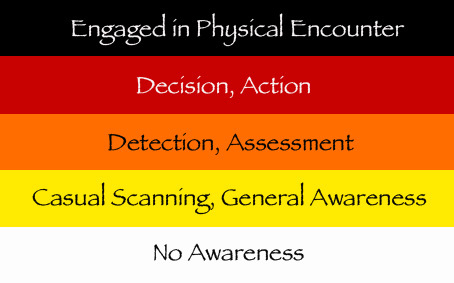 Orange: Heightened awareness. The “sweet spot” on the color code. Red: High alert. An imminent threat has been identified. Black: Combat debrief. Your mindset after something goes down, processing what just happened. It should not be your mindset before something goes down or while something’s going down. After the video simulation, we watch a Taser demonstration. The instructors assure us that it’s very uncommon for someone to die after being Tased. Interesting fact #2: Even people with pacemakers can be safely Tased, so grandpas beware. Interesting fact #3: The instructors say that the worst part of being Tased is pulling the fish hooks out of your skin after the Taser is fired. Tasers eject standard fish hooks (size six, I think). 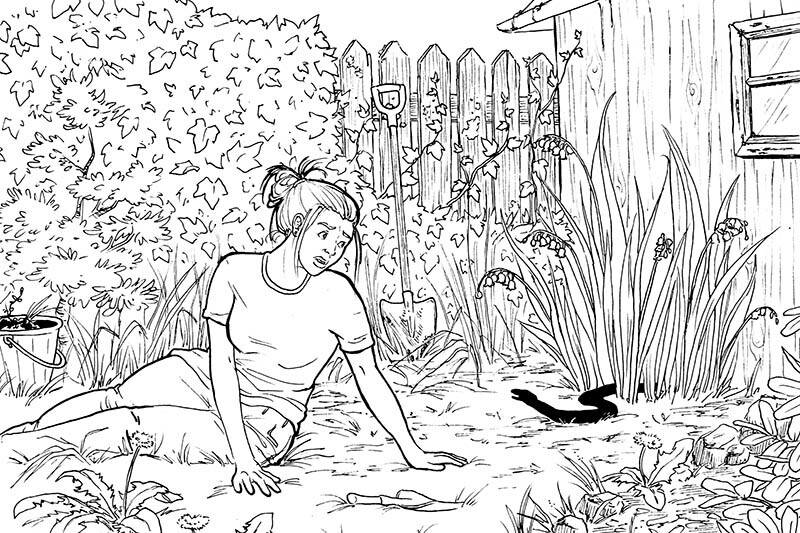 This week, the academy will come to an end (sniff). So far, it’s been an excellent adventure. I’m looking forward to learning how 911 works and wrapping things up with our celebration party.